Created for the 2011 Pittsburgh 48 Hour Film Project. Line of Dialogue: "I meant to tell you a few days ago." 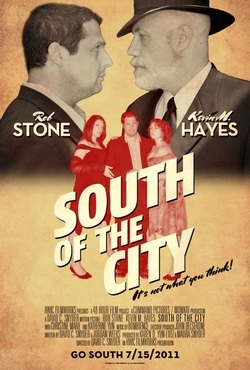 South of the City- A 48 Hour Film Project from HWIC Filmworks on Vimeo. Starring Kyle Jason, Christina Simkovich, Rob Stone, Kevin M. Hayes, and Chuck D.
THE QUIET ARRANGEMENT- Teaser Trailer from The Quiet Arrangement on Vimeo. The Quiet Arrangement- Theatrical Trailer from The Quiet Arrangement on Vimeo. Vita Teneri (Bound by Life) is a short film that explores a journey from birth to death and raises the question: Are we really free to explore our own life? Are we fearful of freedom? Or possibly bound to a different life's path? This film symbolizes a life where we might not have the freedom of choice that we all think we have. Directed by Chris Nicholson, DP - Jason Bender and Sound by Chris Nicholson & Rick White. Vita Teneri from Chris Nicholson on Vimeo. EXPERYMENT6 is a Sci-Fi film. It takes a whimsical look at how some of the other Planets in our Solar System might view the short-comings of Humanity. The character, M, is a powerful hidden presence surrounding Earth. He is in the hot seat. The experiment he began nearly a Century ago is failing according to these Planets. M’s experiment, Humanity itself, is given a hard deadline by the concerned Planets - the year 2080. Hanging in the delicate balance with their imposed deadline is nothing less than the continued existence of Humanity. This 23 minute film was completed in 2009. It was premiered at the Andy Warhol Museum in Pittsburgh, and at the famed Odeon Theater in Florence, Italy. It has also been showcased at numerous theaters worldwide. Created for the 48 Hour Film Project- Pittsburgh, PA 2008. Line: "Do you have what it takes?" Still from HWIC Filmworks on Vimeo.